Home Lifestyle Dining Out Pan Pan San Domenico “era veramente delizioso”! Pan Pan San Domenico “era veramente delizioso”! 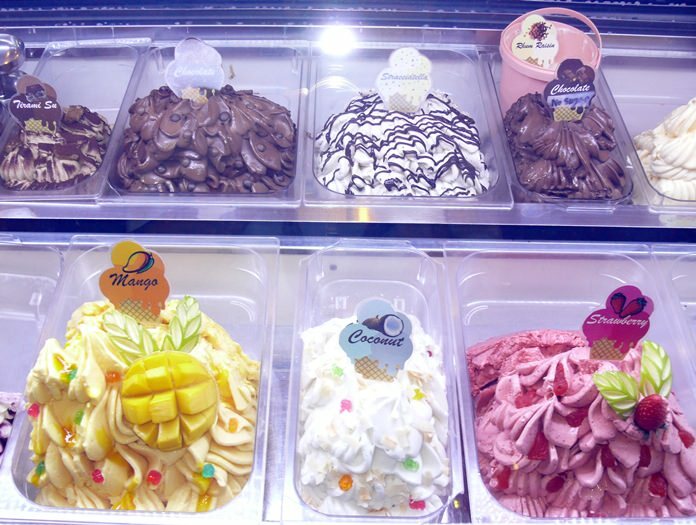 Anyone for some Italian ice cream? Finding an Italian restaurant is not difficult. Every town has many of them. Good Italian cuisine, as opposed to just pizzas, can be difficult. 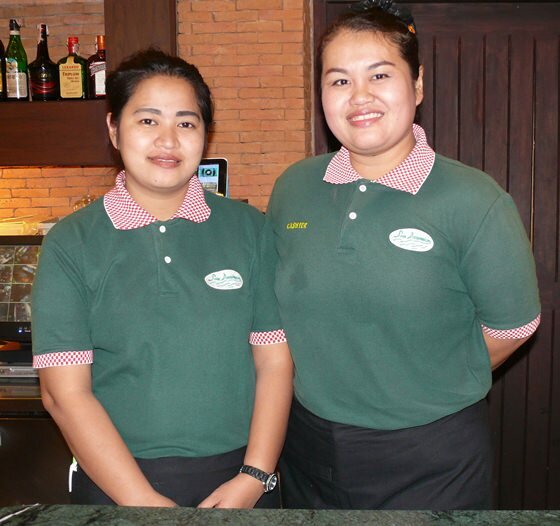 However, if you feel like good Italian food, you have come to the right place – the Ocean Marina Pan Pan in Na Jomtien. 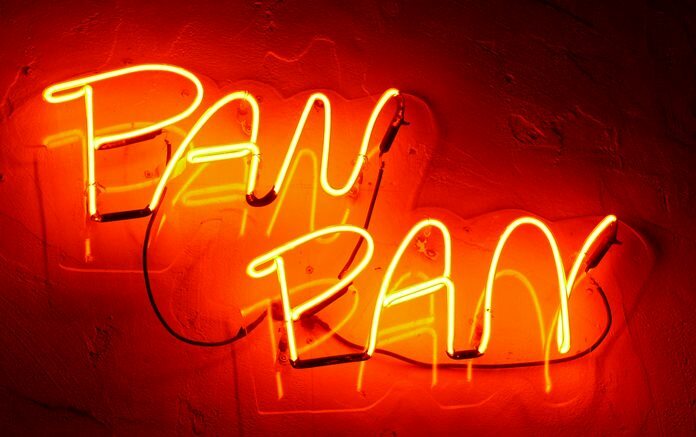 The first Pan Pan in Pattaya was 42 years ago, and its fame began back then in 1976. With passionate Italian management and sticking to true Italian items, Pan Pan built up a solid reputation which then allowed expansion, with the Ocean Marina Pan Pan the subject of this week’s revue. It is very easy to find, get on Sukhumvit Road, being 1 km past the Ambassador Hotel (Km 157), after Mimosa and opposite Ocean Portofino. 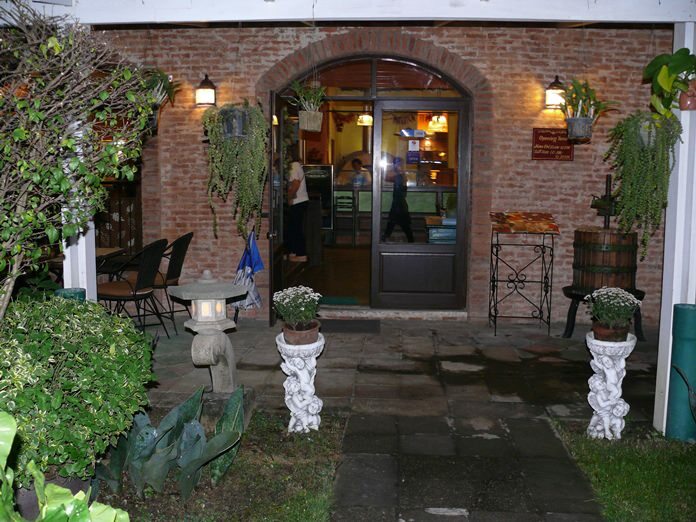 A large parking area adjoins the restaurant itself, which is surrounded with plants and other greenery. The restaurant is very spacious with some comfortable arm chairs as well as some more rustic seating. The staff are attentive and obviously well trained and all very happy. 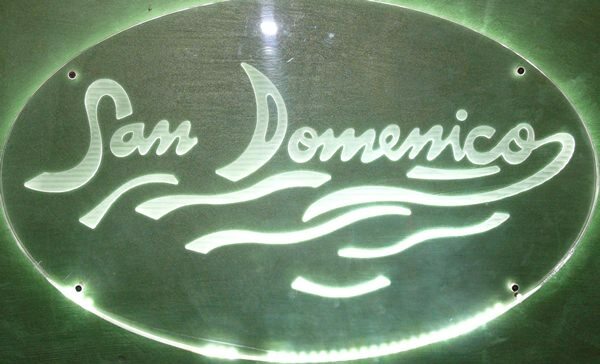 This place has a wonderful (Italian) ambience, and was filling up after 7 p.m. so we suggest you book (038 237 880-1). The menu is extensive, with many items presented photographically. An excellent concept that all restaurants should do. After all, most Russian visitors cannot speak, let alone read English. The menu items are also described in Thai and English, as well as Russian. We sat back and sampled the house wines. The white was a Copperstone Shiraz from Australia (B. 250 per glass) and eminently quaffable. We then moved on to a bottle of an Italian Altavilla Cabernet Sauvignon 2013 which I found very smooth (B. 1760) and enjoyable. Appetizers in the menu include Parma ham with the classical ham and melon served with pizza bread (B. 350 small or B. 550 large). Another popular starter is a Bruschetta (garlic bread with tomato and basil, B. 120); however, I have never been able to eat this dish without wearing it. Our review night was no difference, and fortunately tomato washes out. Going further into the menu, there is a Minestrone soup (B. 150) and many pastas. 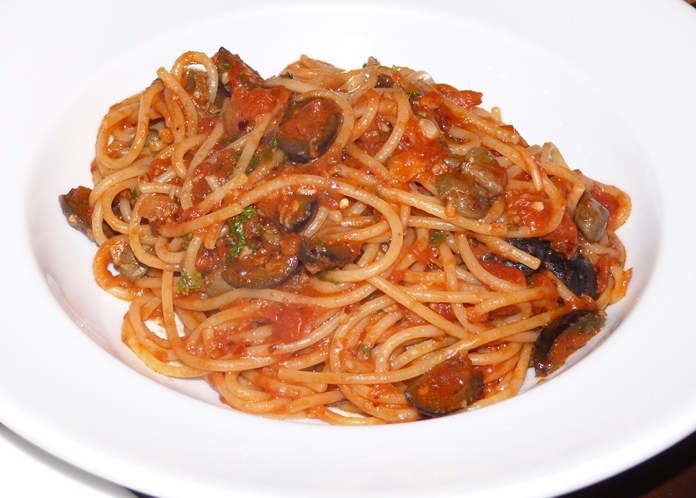 Spaghetti with anchovies, garlic and parsley (B. 320) or Penne “Gianni” with cream, prawns and mushrooms (B. 395). Several salads are offered (B. 180-310) with Insalata Caesar at the top end with romaine lettuce, bacon and parmesan cheese. The salads are followed by roast pork Italian style (B. 320) and various scaloppine’s. Italian spicy sausage is well worth exploring (B. 330), new to us and definitely ‘more-ish’. Pan Pan is renowned for its pizzas, and there are 20 on offer and range between B. 200-420. At the top end is the Ai Quattro Formaggi pizza (four cheese) with mozzarella, gorgonzola, camembert and fontina cheeses, all on a thin and crispy base pizza. Bravo! Also at the top end is a Pizza Gorgonzola e Speck. Flavor all the way. There are also three vegetarian pizzas. Another dish we tried was a sauté prawn and a Fish Filet Siciliana sautéed with tomato, capers and olives. The tomato extends the flavor and this was my dish of the evening. As I indicated at the beginning of this review, we had an excellent meal. Pan Pan also does a home delivery (6 km radius) and no charge if the order is more than B. 600. If you have easy access to Sukhumvit Road, take the family. Pan Pan is very handy for those who have traveled out to Mimosa, or coming from Ban Amphur, for example. We are quite sure they will enjoy it as much as we did. Highly recommended. 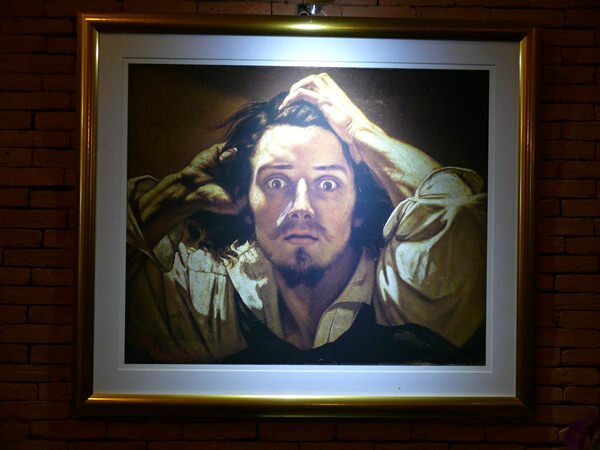 Pan Pan Ocean Marina, (Heading to Ban Amphur from Pattaya), Km 157 Sukhumvit Road, tel. 038 237 880 – 1, spacious car park, restaurant open seven days, open 10 a.m. close 10.30 p.m.